What a fabulous score for YOU! Congrats! I sew costumes for entertainment and last year I worked in 3 projects for M. I also have a home based business called Teri's Unique Stitching, LLC where I sew cosplay costumes and do custom dressmaking. Congratulations! You're gonna love those authors! I am excited to give them a read but I can't carry all the books with me when I travel so they will have to wait till Sept when I get back home. I do have my nook/kindle/iPad loaded with books for the traveling days. Wow! 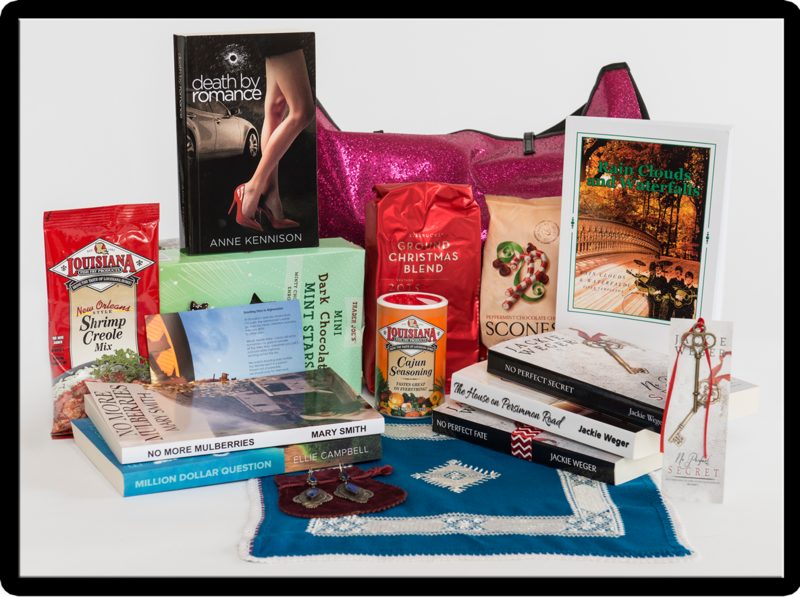 What a wonderful Treasure Chest the eNovel Authors put together - so many great books and I love all the swag and bling! So many goodies...! Thank you again for participating and helping to promote the Free Booksy and eNovel Tour - we appreciate all your support! Enjoy your treasures! Thank you I will enjoy my treasures. My husband loves the dark chocolate cookies. We frozen then and ate them nice and cold. What a wonderful haul! Congrats! Thanks I agree they put together a great assortment of things to please. I will. I look forward to it. Congratulations! You've got some great authors there. I am excited to give them a try. Congrats! I think my book was given away as a Kindle and not in the chest, but I'd love to send you one - what are your favorite types of books for reviews? Looks like romance... I have a cozy mystery series, and urban fantasy series, and a romantic comedy if any of those sound good to you! I will read everything but violent, scary or depressing. My email is sportochick@gmail.com if you want to discuss via email. Thanks, Terri, for the nice mention of my books--though a slight correction--My books are under the name RP Dahlke, but I'm grateful for the mention anyway! I will correct when I get in front of a computer. IPhones are too hard to manage. What a wonderful score! I know you'll enjoy. I love everything. Need time to read all the great books I got. Thanks Dale I am glad to meet some new authors.